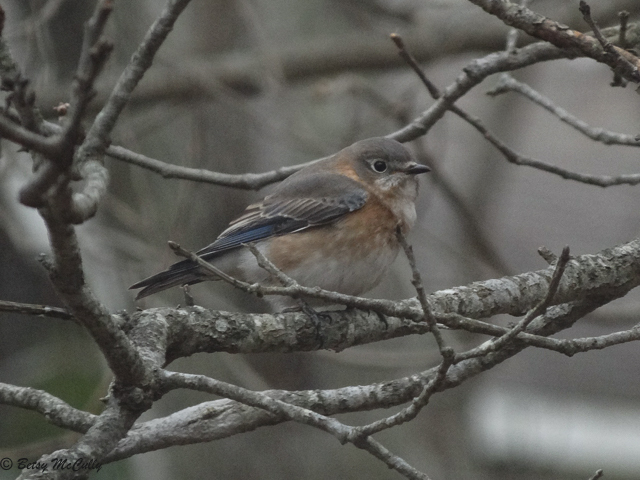 Eastern Bluebird (Sialia sialis). Juvenile. Grasslands. Breeder. May stay through winter.